A quick look at Kyle Korver’s stats reveals that he’s a pretty darn good shooter — 49 percent on 3s during the regular season, ranked third in the league in total triples made — but those basic stats fail to capture just how special he has been this year. 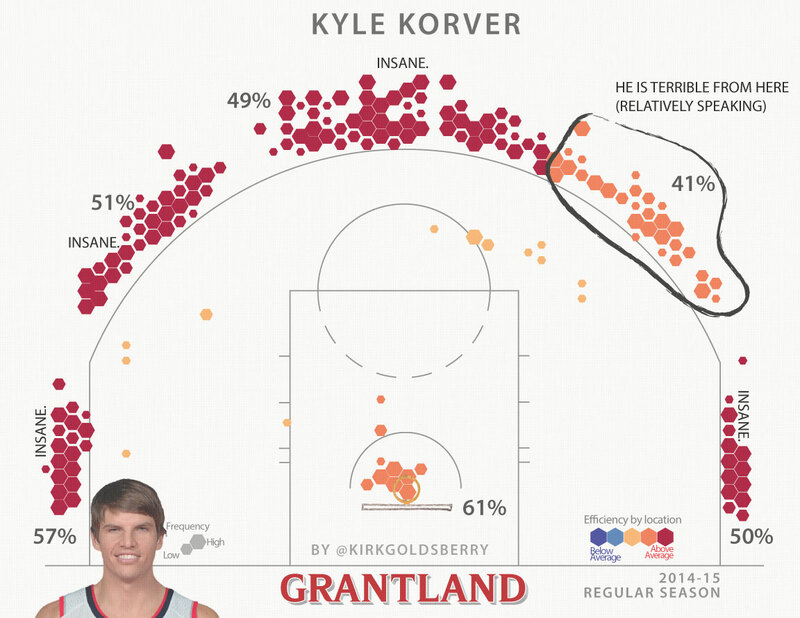 A deeper examination of his shooting data reveals that Korver is something closer to a jump-shooting messiah. 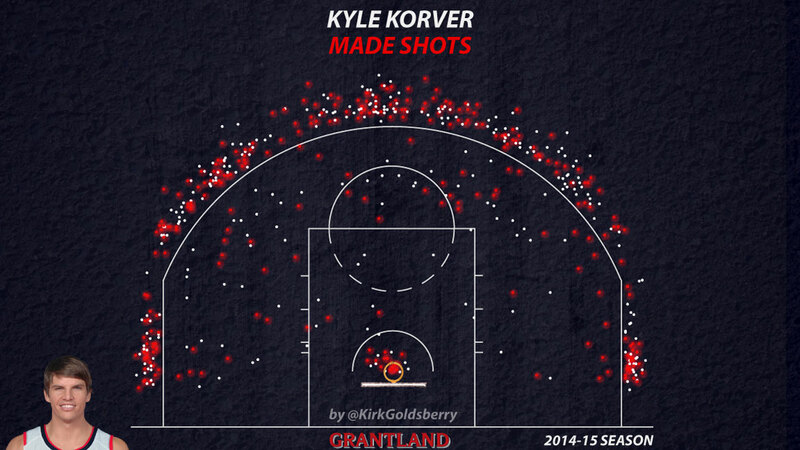 That certainly looks good, but using shooting data from the whole league, we can compare Korver’s yield to what the output of an average NBA shooter would be from the same constellation of shots. If an “average” NBA player had attempted the exact same collection of shots as Korver this season, he would have scored 1.04 points per shot. That’s not bad, but guess what? 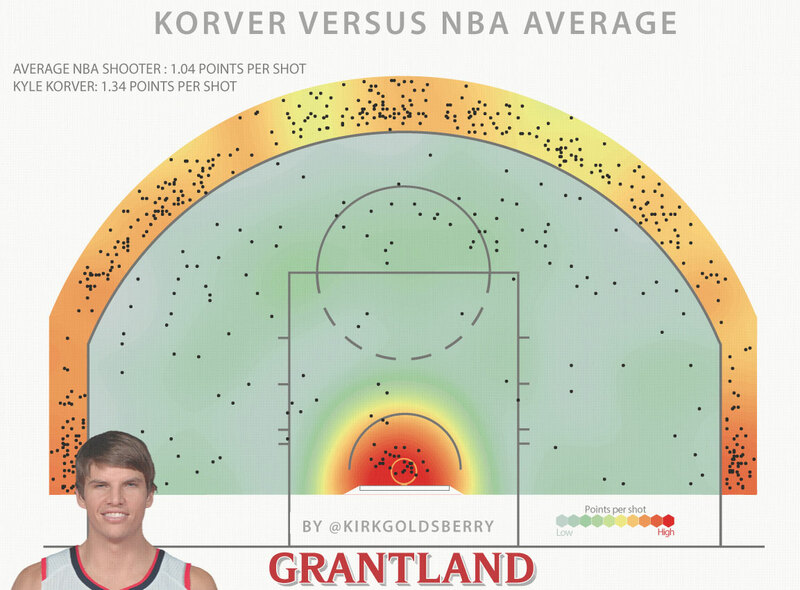 Korver accumulated a dizzying 1.34 points per shot. By the end of the regular season, Korver had accumulated 182 points more than an “average” shooter would have from his exact same shooting opportunities. Once you account for volume, it’s clear that Korver had the most efficient scoring season in the league by a wide margin. After 75 regular-season performances, Korver built one of the scariest shot charts I’ve ever seen. But he didn’t do it alone. Catch-and-shoot guys need smart tactics and great teammates to help them get good looks, and more than 95 percent of Korver’s buckets this year involved an assist. The Hawks remain a legitimate threat to win the Eastern Conference because of Korver, but also because they have the coach of the year in Mike Budenholzer and a band of other great players working together to find the best shot on the floor. However, with all due respect to All-Stars like Paul Millsap, Al Horford, and Jeff Teague, Korver is the team’s scariest weapon.